Mortgage Express client labels their Choices Overpayment Scheme “sharp practice”. Mortgage Express stopped lending over a year ago and have since been targeted to reduce their loan book. They are offering borrowers the ability to repay their mortgages and in return they will waive any early repayment charges. Whilst this might make good sense for people who are looking to sell or are locked into long term fixed rates above 5%, for the majority of their borrowers it makes no sense at all. Mortgage Express now employ a team of people to telephone their borrowers to offer them the ‘Choices’ scheme to overpay their mortgages whilst interest rates are so low and cashflow from rentals is positive. They put an attractive ‘spin’ on the arrangement by offering their ‘Choices’ package but several landlords have questioned their real motives and whether they really will be able to access the over payments when they need the money. Mrs Nixon’s experience supports the suspicions of these landlords that the scheme is not all that it’s cracked up to be. 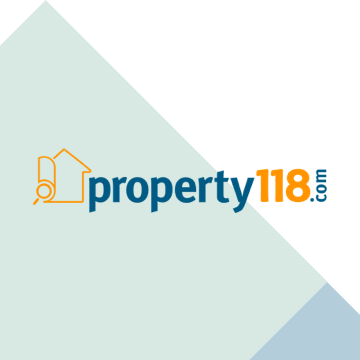 Mark Alexander, Managing Director of Property118.com wrote an article entitled “What you shouldn’t do with your buy to let mortgage”. Overpaying was the number one DON’T. To view that article in full CLICK HERE. I too have fallen fowl of the 'small print' on Mortgage Express Choices overpayments. I have had 4 BTL mortgages with them, and regularly overpaid using Choices, getting a full refund of my overpayments each time. However, a couple of years ago I took advantage of Mortgage Express's offer of overpaying the interest by making payments three times the normal interest cost each month, and I did this on 2 mortgages that were tied into 5+% interest rates. These rates ended 31st March 2011 and dropped to 2.2%, so I telephoned for a full refund earlier in the month. I was going to use the money to reduce/pay off a mortgage at 3.75%. I was completely shocked to be told that the £60K+ that I was expecting to get was not available, due to the current valuations of the properties not giving enough LTV. ME will only refund me approx£27K! The generic valuations (by Halifax) were woefully low, (less than a 2 bed would sell for, and these properties are 3 beds), and the only surveyer they allow to be used is their own surveyor at a charge of £450 per property! I am taking this, (and other mistakes they have made, including taking a D/D payment of £1,450 when only £202 should have been taken) to the Ombudsman and would be interested to hear any other experiences with ME. Thank you for sharing your story Heather, let's hope it serves as a cautionary tale for others. I look forward to reading your feedback on our Number Crunchers when they are launched next week. Buy to let bonanza as rents set to soar.